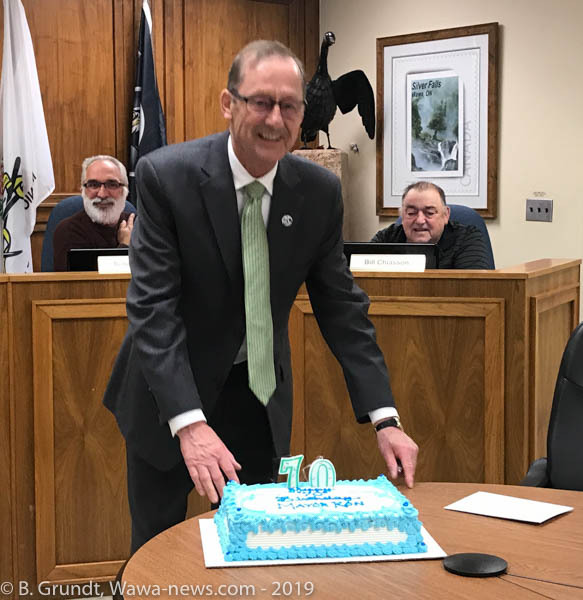 CAO Maury O’Neill presented Mayor Ron Rody with a cake for his 70th Birthday, March 5, 2019. 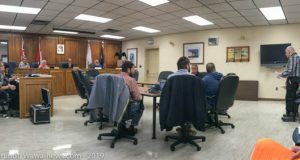 Municipal Council held a council meeting on March 8th, 2019. Mayor Rody welcomed Maury O’Neill to her first council meeting as CAO of the Municipality of Wawa. After the meeting was called to order and the agenda approved, Mayor Rody spoke briefly about the past weekend’s derby and the benefits for our community, as well as thanking staff and residents for their work in making this event a success. Council received minutes from a number of committees, some of these minutes dated back to October in the case of the Police Services Board. Council also accepted the resignation from the Wawa Public Library Board and Wawa Heritage Committee by Mr. Steve Haney. In new business Council accepted the 2019 insurance quotation from Frank Cowan Company in partnership with Dason & Keenan Insurance. Mayor Rody did comment that due to continued litigation it would be unwise to change insurance companies as it would take the new insurer six months to get current with the paperwork. Council was to approve the renaming of High Falls Road and Magpie Scenic High Falls Road. It was explained that there is confusion for tourists because the two names are so similiar – the process will have to involve public consultation to determine the new name(s). Council did approve thle purchase of a 2019 R450 Super Duty Truck with plow and dump at thte cost of $61,249.00 + HST. Originally the purchase was for a 2018 but due to delays in awarding the RFP, the 2018 was no longer available, and a 2019 had to be purchased. Council also authoriezed the appointment of Mary E. Pascuzzi Law Professional Corporation as the Integrity Comissioner – to take effect March 5th, 2019. The following by-laws were read for the first, second and third time. By-Law No. 3177-19 – to confirm the proceedings of Council at its meeting held on the 5th day of March, 2019. By-Law No. 3178-19 – to adopt Municipality of Wawa Policy No. HR-002: Workplace Harassment and Discrimination Prevention. By-Law No. 3180-19 to adopt Policy No. AD-002: Sale and other Disposition of Land. 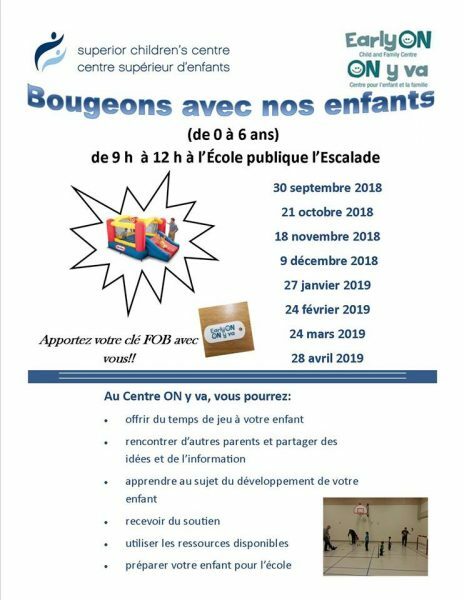 By-Law No. 3181-19 to authorize the sale of land to Algoma Ferrous Industries Inc.